Commemorating its 40th anniversary, the Hong Kong Arts Centre (HKAC) will present two Honorary Fellowships for the first time in recognition of exceptional achievements in the arts sector and enduring dedication to nurturing young artists. The two distinguished awardees this year are Ms. Theresa Lee Wai-chun, the esteemed comics artist and author of Miss 13 Dots; and Mr. Samson Young Kar-fai, the distinguished composer and artist who represented Hong Kong at the 57th Venice Biennale in 2017. 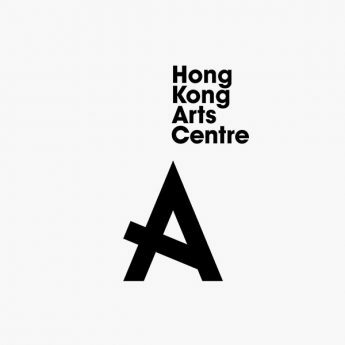 Hong Kong Arts Centre has the honour to invite Ms. Theresa Lee and Mr. Samson Young to share with us more of their forthcoming projects at the artist talk next Wednesday(25/7). The talk will be moderated by Ms. Connie Lam, Executive Director of the HKAC. Theresa Lee Wai-chun Renowned Hong Kong comics artist Theresa Lee Wai-chun has devoted herself to comics creation in 1960s. Her signature work 13 Dots, first published in 1966, was an acclaimed classic in Hong Kong and a pioneer in girls comics. The title was immensely popular not only within the city but also in other parts of the world from 1960s to 1980s. Female protagonist Miss 13 Dots who is independent, fashionable and righteous. She represents an ideal who challenges women’s submissive position in society at the time. The lovable heroine attracted a huge following from her endless collections of stylish outfits and modern lifestyle. Samson Young Kar-fai Samson Young is an artist and a composer. Behind each project of his is an extensive process of research, involving mapping of the process through a series of “sound sketches” and audio recordings. His drawing, radio broadcast, performance and composition touch upon the recurring topics of conflict, war, and political frontiers. Young was the inaugural winner of the BMW Art Journey Award at Art Basel Hong Kong 2015, and he represented Hong Kong at the 57th Venice Biennale. Other solo presentations include Hiroshima City Museum of Contemporary Art (Japan, 2015), Team Gallery (New York , 2015), Para/Site (Hong Kong, 2016), Experimenter (India, 2016), Kunsthalle Düsseldorf (Germany, 2016) and Centre for Chinese Contemporary Art (Manchester, 2017). Upcoming projects include the 21st Biennale of Sydney (2018), the Solomon R Guggenheim Museum in New York (2018), and the Talbot Rice Gallery as a part of the 2019 Edinburgh Festival.